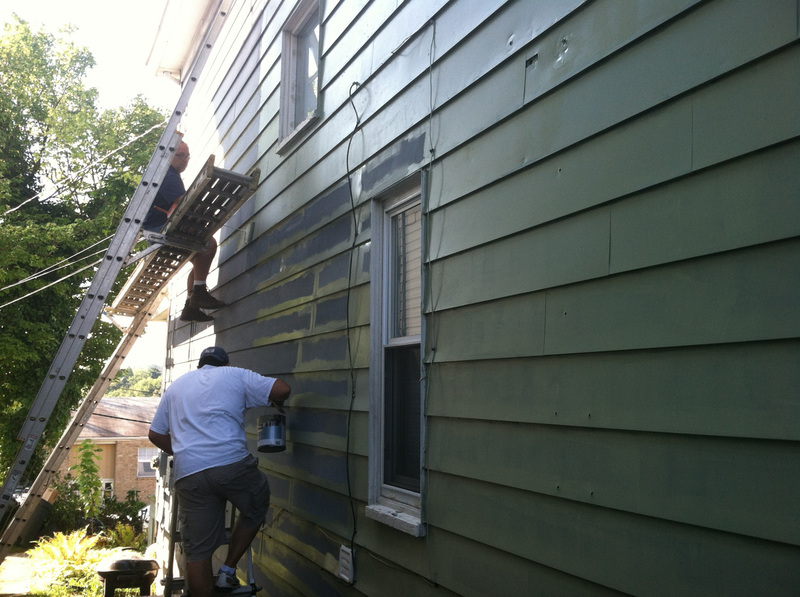 It’s been a while since the last update, we’re finally pushing to wrap up the outside of the house. It’s springtime in Pittsburgh, meaning it’s time to get to work outside! We acid-washed the old Alcoa aluminum siding and used some great sage colored paint for the siding, with white trim. 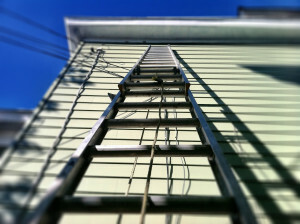 Man, do I hate ladders. 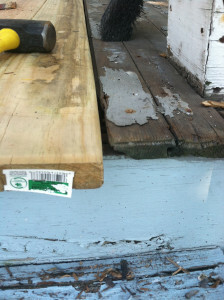 We rebuilt the structure and supports under the front porch with new wood for stability, then we removed the rotten old boards and replaced with new treated lumber decking. 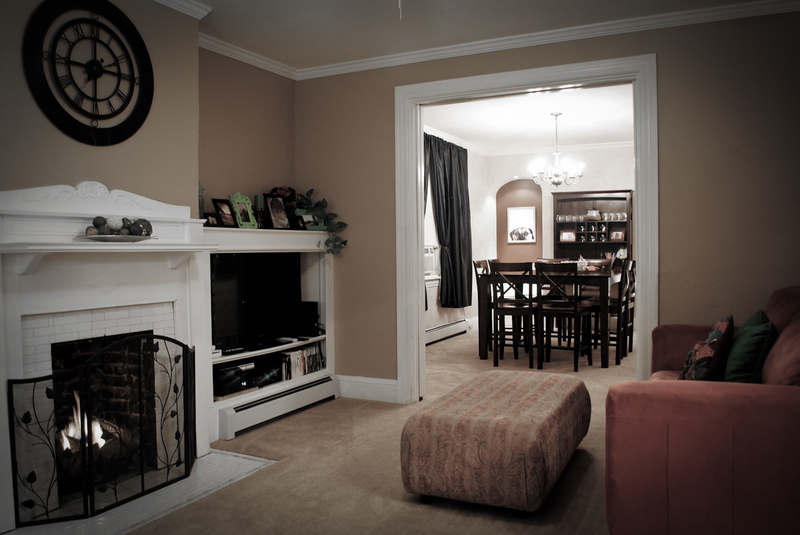 New railings, new posts and new staircase are coming next. 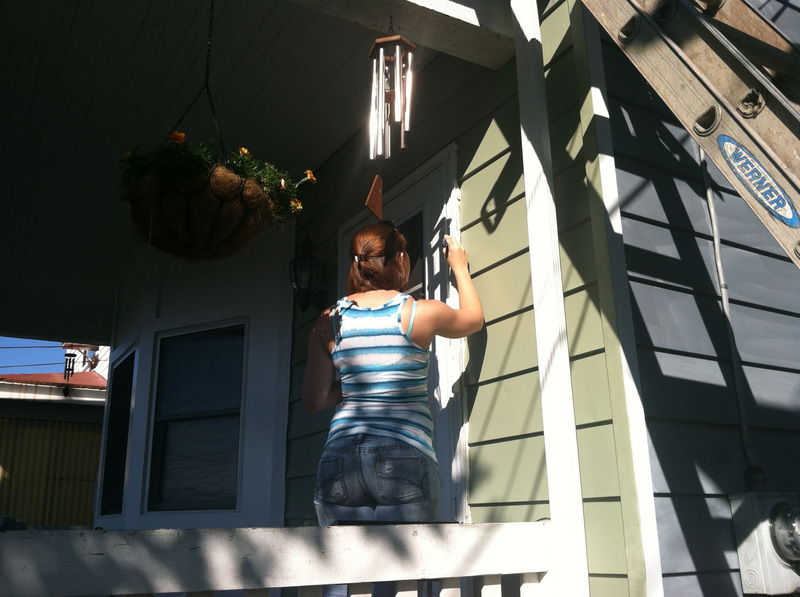 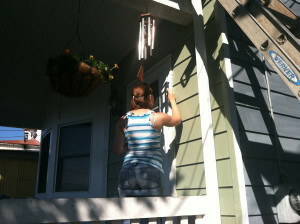 Rachel uses a steady hand to paint the trim. 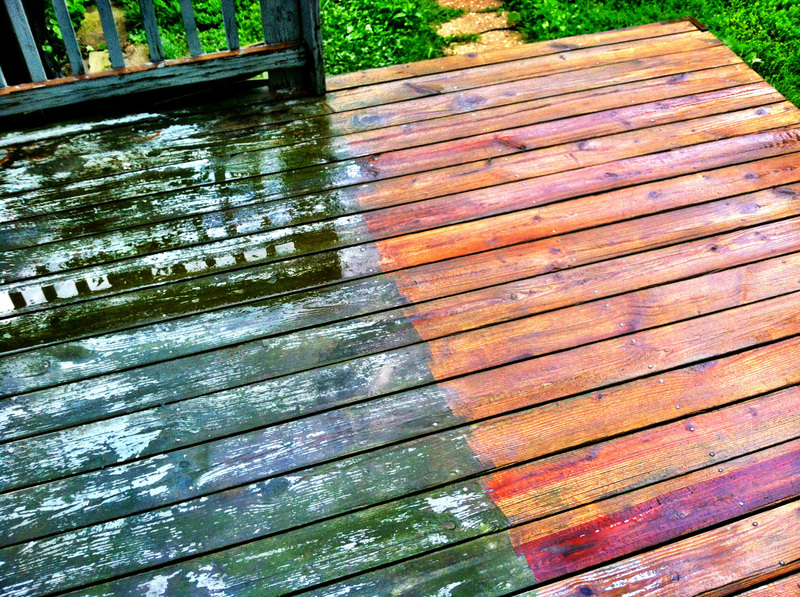 Structurally the back deck was sturdy, just power washing it before painting made it look SO much better. 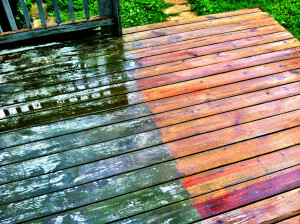 New sealing paint will shine this up nicely. We also put in a 6ft privacy fence around the back yard for the dogs. 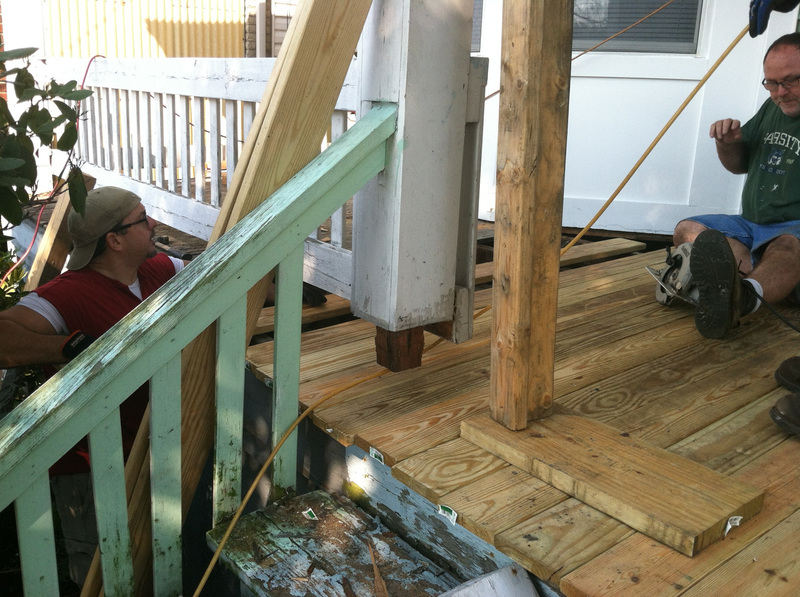 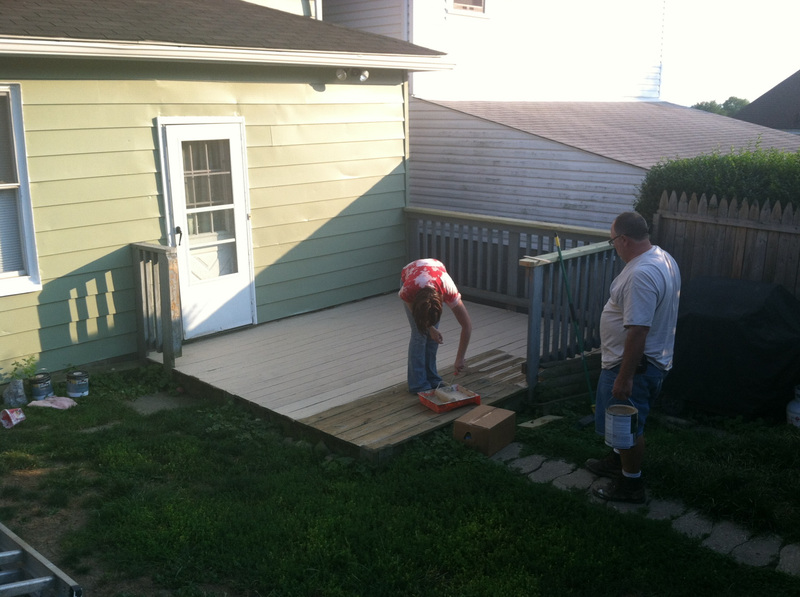 Removing the front 1/3 of the railing opened the deck up into the yard and made things feel bigger.